MS4 permits will soon require performance – not just paperwork. UPDATE: EPA has delayed the implementation of this permit for one year, until July 1, 2018. 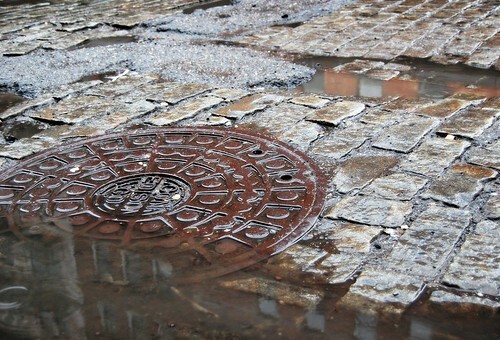 Big changes are ahead for Small Municipal Separate Storm Sewer System (MS4) operators in Massachusetts. EPA’s recently-released general permit goes into effect on July 1, 2017. Under the new general permit, stormwater regulation will now require performance, not just paperwork. Municipalities should lose no time planning for the cost of the substantial measures they will need to implement in order to comply with the discharge limitations imposed in the permit. And municipalities may need to retain outside technical assistance – again, starting now. The new permit requires municipalities to overhaul their stormwater management strategy, improve their infrastructure, and update their bylaws. And for those MS4s that discharge to certain polluted waters – identified in the permit, they must now limit particular pollutants, including phosphorous, nitrogen, metals, and bacteria. Simply monitoring them will no longer be sufficient. MS4 operators should begin by consulting the indispensable resources EPA has made available here. In addition, MS4 operators have tools and programs available to them. Staffers from the Massachusetts Department of Environmental Protection (MassDEP) will travel to municipalities (upon request) to conduct trainings and information sessions. The agency will also disburse stormwater assistance grants, when available. Moreover, regional stormwater coalitions exist to help defray some of the costs of the new permit. The Northern Middlesex Stormwater Collaborative and the Central Massachusetts Regional Stormwater Coalition are two examples. revisit whether they meet the permit’s eligibility requirements. submit their Notice of Intent (NOI) to EPA. The NOI requires the operator to submit information on its history of compliance, water bodies and pollutants, public outreach and involvement efforts, and stormwater management program, including the “best management practices” (BMPs) it will adopt to reduce stormwater pollution. For the BMPs, operators should consult the Massachusetts Stormwater Handbook. the qualitative or quantitative goal that each BMP aims to achieve. implement the BMPs they outlined in their NOIs. identify and describe all known locations where sanitary sewer overflows have discharged to the MS4 within the previous five years. create an “outfall and interconnection inventory and priority ranking” to assess illicit discharge potential. if not already in place, implement written procedures for inspecting construction sites and enforcing runoff control measures. submit an Annual Report each year which evaluates the appropriateness of the MS4’s BMPs, and change those BMPs if prudent or if EPA or MassDEP so require. develop a systematic procedure to investigate each catchment in their MS4 system. Those investigations must begin by July 1, 2019, and be completed by either 2024 or 2027, depending on the type of catchment. begin implementing a decade-long “pollution control program” if the operator discharges to certain polluted waters outlined by the permit. establish a program detailing how the municipality expects to maintain its MS4 infrastructure in a timely manner. fully implement a facility-specific Stormwater Pollution Prevention Plan (SWPPP) for certain municipally-owned facilities. SWPPPs must describe the facility, identify responsible personnel, and identify stormwater controls. SWPPPs must also include provisions detailing housekeeping practices, preventative maintenance, and spill prevention and response. develop or modify their ordinance so that new developments meet minimum design standards in accordance with Massachusetts Stormwater Handbook Standards. update their stormwater management system map to include information on local infrastructure and waterbody characteristics. for new permittees, develop or modify their ordinance to investigate and prohibit illicit discharges. review existing bylaws so that the operator can consider allowing developers to install green roofs and other water retention methods. review its street and parking design criteria so that the operator can consider implementing low-impact design options. Recall, this list is not exhaustive. Consequently, MS4 operators seeking to be covered under the new General Permit should monitor for EPA’s final regulations concerning this permit process, coming this fall.